PremierGarage of Orange County powered by Tailored Living specializes in whole home organization, including: custom garage cabinets, top-of-the-line garage flooring, efficient home offices, functional closets, space-saving murphy beds, and unique pantries. Chris and Jackie Poehlman are the owners of the Tailored Living Franchise serving Orange County. 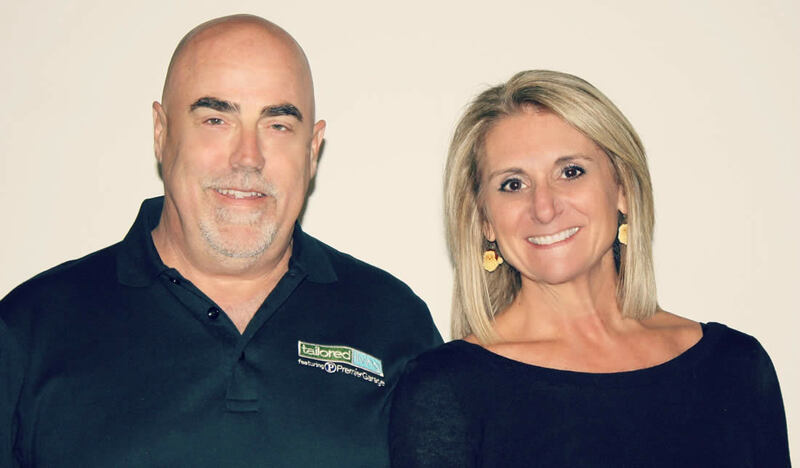 This dynamic husband and wife team have been in the home remodeling business for over 30 years. Since 2005, Jackie and Chris have been dedicated to helping Orange County residents enhance the functionality of their homes. PremierGarage of Orange County has helped over 6,500 homeowners get organized delivering consistent product quality and maintaining professional integrity. Chris has his B1 Contractor's license and in his spare times loves to ride his Harley. Jackie is an avid runner and has participated in various marathons across the country. Their son, Eric resides in Washington, while their daughter, Taylor is attending school in Boston. Installation Staff: PremierGarage of OC powered byTailored Living uses company employees only which ensures that you receive consistent craftsmanship and personalized attention. Together our installation team has over 36 combined years of experience! They take pride in every project. Designers: Our team of innovative designers are ready to help you build the storage solutions of your dreams! The designers are the experts at maximizing your living space and getting your home ornately organized. Call today to schedule a free in home consultation with one of our experienced designers. Operations Manager and Administrative Assistant (Office Staff): Our Operations Manager ensures that the logistics run smoothly his goal is to schedule one successful installation after another. The office staff is here for you. She can answer any questions you may have and look forward to working with you.